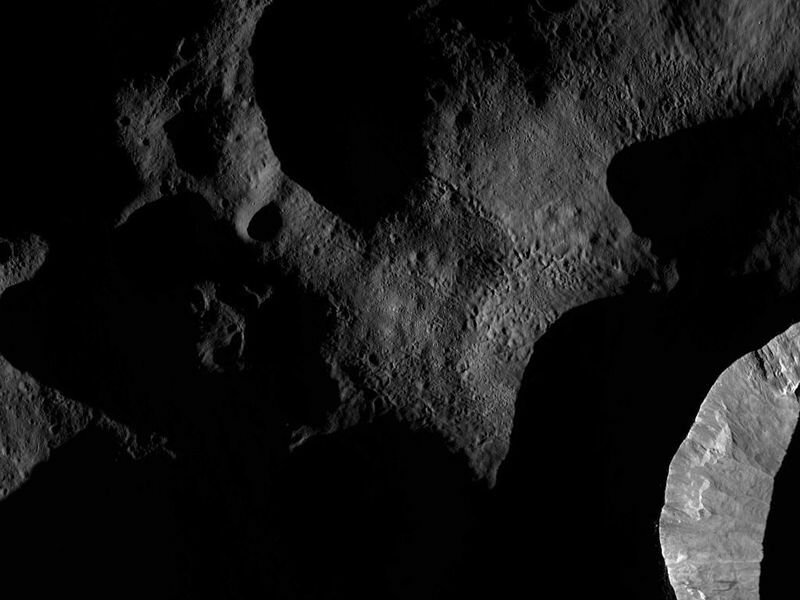 This Dawn FC (framing camera) image shows the sun illuminating the landscape of Vesta during a Vestan 'sunrise.' When this image was obtained the sun had a low angle relative to Vesta's surface, just as the sun has a low angle in the sky in the morning on Earth. This 'early morning', low angle light on Vesta enhances the surface topography of the illuminated regions. 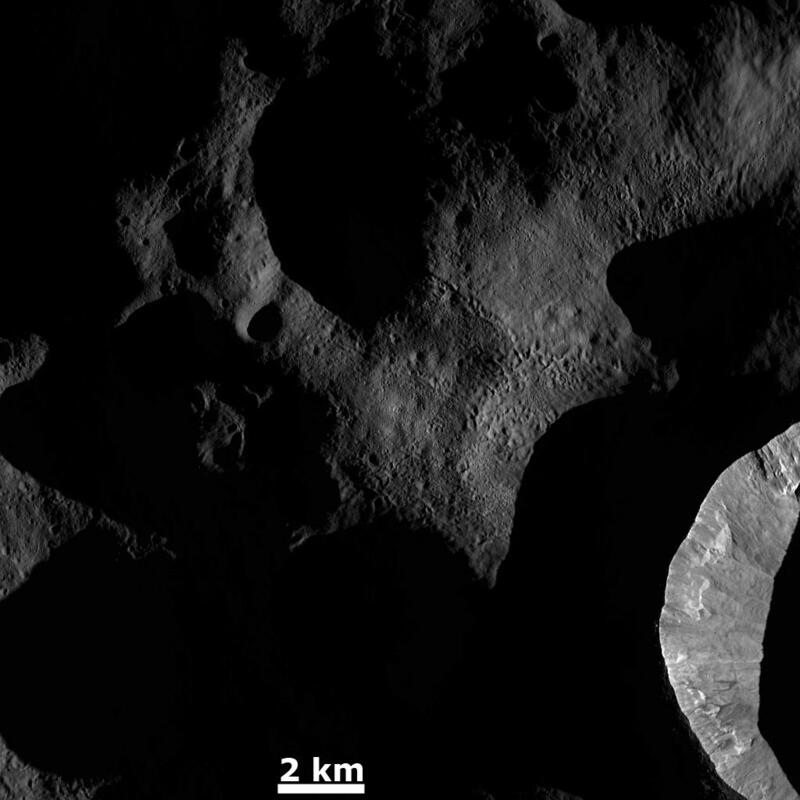 For example, the morphological details of the interior wall of the crater in the bottom right of the image are especially clear. Also, the clusters and chains of pits in the center of the image are also enhanced by this sunlight. These clusters and chains of pits were created by material ejected by an impact outside of the imaged area. 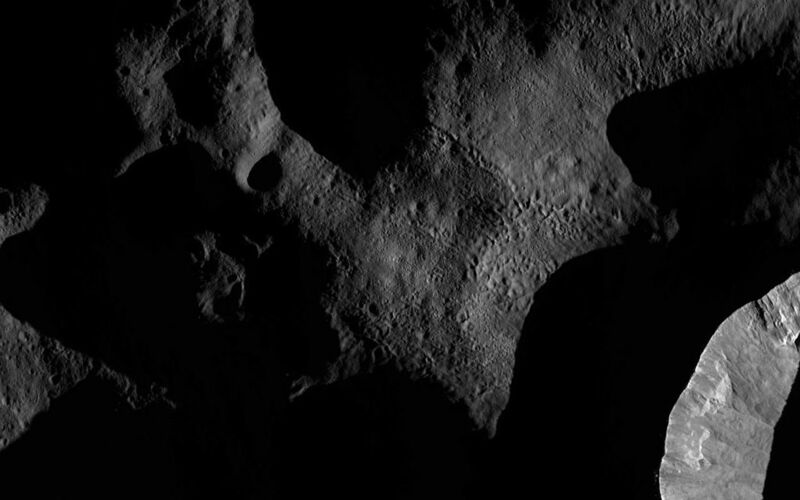 However, there are many regions that are still in shadow in this image because the low angled sunlight has not illuminated them. This image is located in Vesta's Bellicia quadrangle and the center of the image is 42.0 degrees north latitude, 70.0 degrees east longitude. 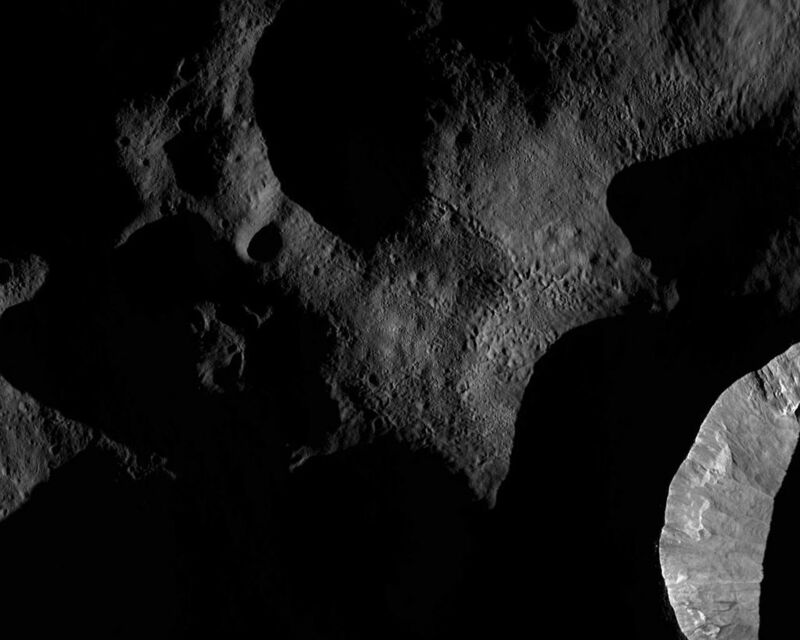 NASA's Dawn spacecraft obtained this image with its framing camera on Dec. 18, 2011. This image was taken through the camera's clear filter. The distance to the surface of Vesta is 200 kilometers (124 miles) and the image has a resolution of about 18 meters (59 feet) per pixel. This image was acquired during the LAMO (low-altitude mapping orbit) phase of the mission.